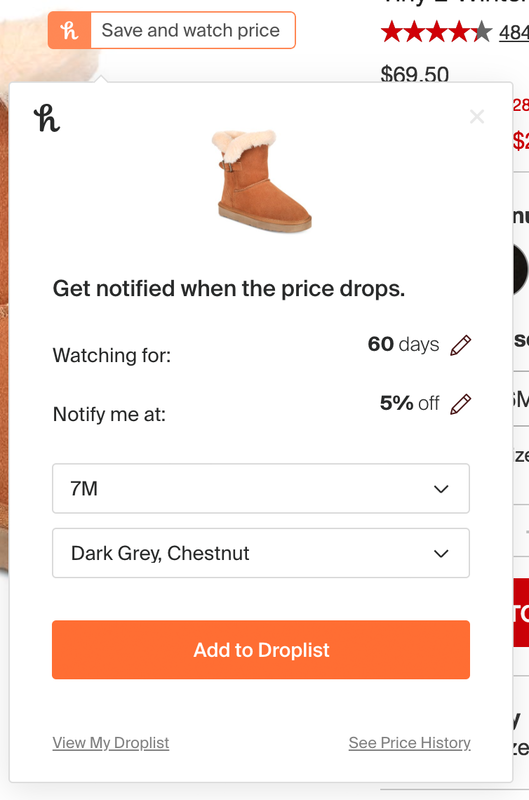 Droplist is a powerful feature that watches your favorite items, notifying you when the price of an item drops below the amount you choose. Droplist is currently only available for our U.S. Members but we're working on bringing this feature to international Members soon! 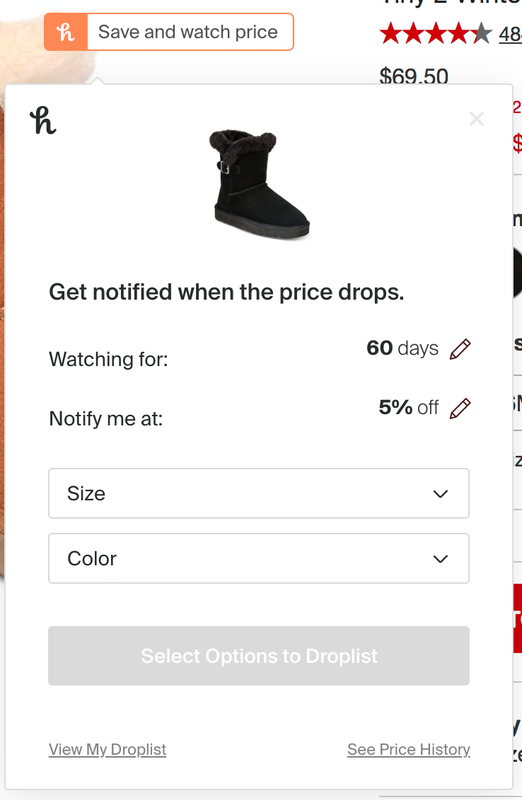 Droplist monitors the price of items you choose for 30, 60, 90, or 120 days. There is no limit to the amount of items you can Droplist! We'll automatically send you an email when the price drops to the price point you set. We'll even remind you when an item is about to expire in your Droplist so you can continue to watch it if you choose. Note: Shipping, tax, handling, and any other additional costs are not factored into the price drop. Choose an item you want Honey to watch. To add an item to your Droplist, click on the h button. Choose how long we should watch it for (30, 60, 90, or 120 days) and set the percentage of the price drop you would like to be notified at. If an item has more than one option (size, colors, fit, etc.) you will need to pick which option you'd like. Don't worry -- you can pick as many as you'd like to watch! You'll receive an email if the price of one of your items has decreased to the percentage you set the item to. Adjust your Droplist settings in your Account Settings page. Toggle the box to enable or disable Droplist notification emails. Review all the items on your Droplist to see what you're currently watching, along with items you have removed. If you want to sync your 'Save for Later' items from Amazon to Droplist, activate this feature by toggling it on in the upper right corner of Droplist. 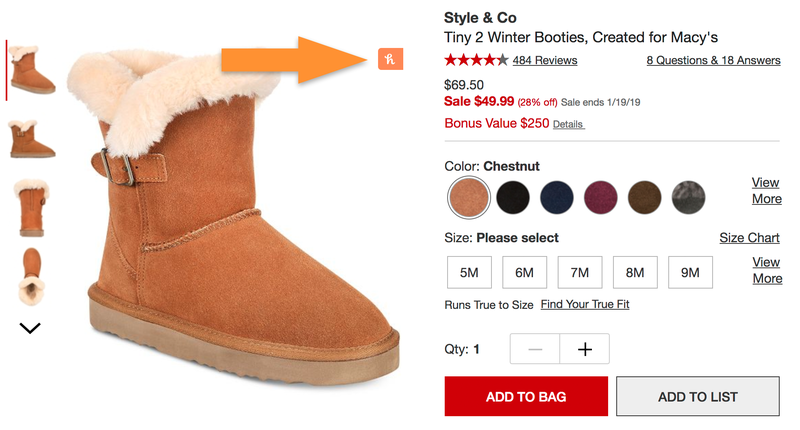 When the button turns orange, Amazon 'Save for Later' items will automatically begin to sync to your Droplist. To disable this feature, toggle the button to the left. 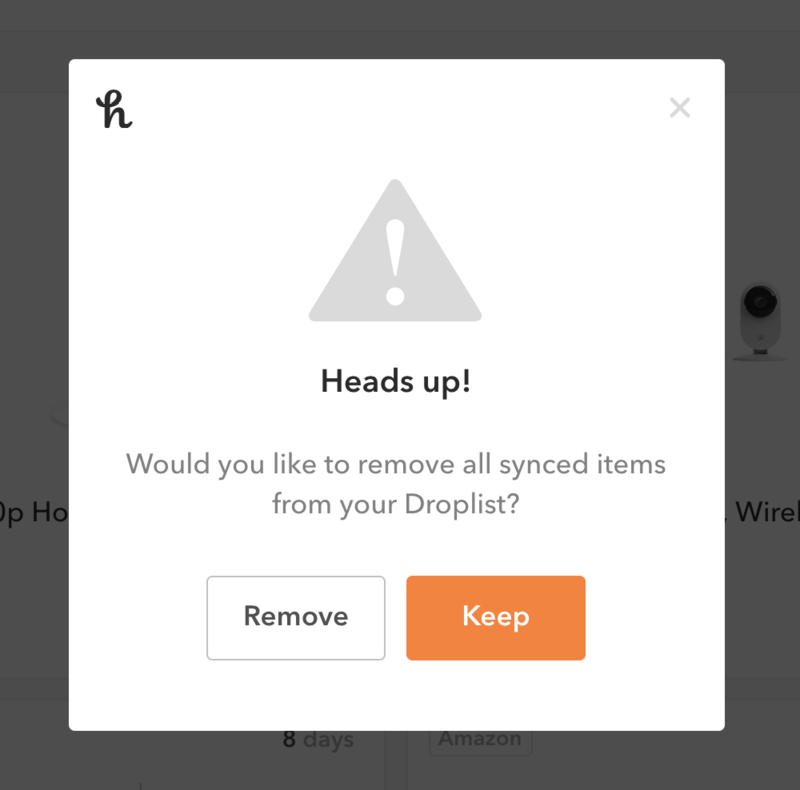 This will remove all your synced Saved for later items from Droplist.